Be sure to check out the discounts available at the Centre for Community Engagement and Samuels Campus bookstores! We are continually working on your behalf for discounts and special initiatives exclusive to Holland College alumni. Your alumni card gives you the opportunity to take part in events advertised in our newsletter, the Benchmark Quarterly. 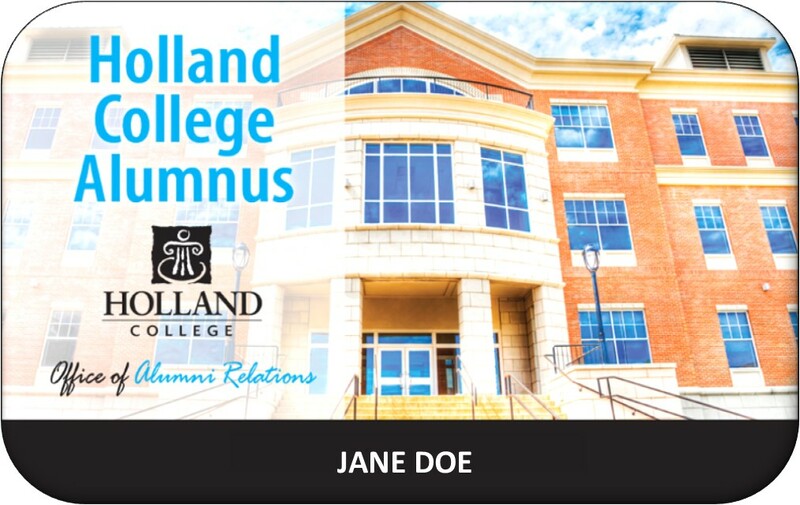 Download the Holland College Alumni app on iOS or Android play stores, email the Office of Alumni Relations or call 902-566-9303 to request your personalized alumni card. Get ready to save on home, condo, renter’s and car insurance. As a trusted partner, the TD Insurance Meloche Monnex program is dedicated to helping Holland College alumni get access to preferred rates on home, condo, renter’s and car insurance coverage. TD Insurance is the leading direct response insurance group in Canada†, offering quality insurance products for over 65 years. From getting a quote to filing a claim, their knowledgeable advisors will help you find options that are right for you. Plus, the TD Insurance Meloche Monnex program helps support alumni and student activities. A win-win for you and your school. †Ranks based on data available from OSFI, Insurers, Insurance Bureau of Canada, and Provincial Regulators, as at December 31, 2016. If you’re thinking about getting insurance, or looking to supplement any coverage you may already have, be sure to check out your alumni benefits first. Visit manulife.com/Holland or call 1-888-913-6333 to learn more. As an alumnus you are eligible for some great on-campus perks! Holland College alumni are eligible for deeply discounted rates on fitness memberships at the Centre for Community Engagement (CCE), located at the Prince of Wales Campus in Charlottetown. Show your alumni card to purchase a single annual membership for just $225+ HST, a savings of $135 per year! Drop into the CCE or call 902-566-9620 for more information. Samuel’s Campus Store - 20% Alumni Discount Year-Round! Show your Holland College alumni card to receive 20% off all regular priced clothing and giftware at Samuel’s Campus Store on the Prince of Wales Campus in Charlottetown and the Summerside Waterfront Campus. With your Holland College alumni card, you have access to reference materials, magazines, and plenty of books at any of our resource centres across the Island. We can help with invitation distribution and we’ll share the event on Holland College Alumni social media, provide draw prizes, and more. Call us at 902-566-9303 or email the Office of Alumni Relations for assistance.